Football fell to Wellesley 27-7 on Friday in the annual Friday Night Lights game. 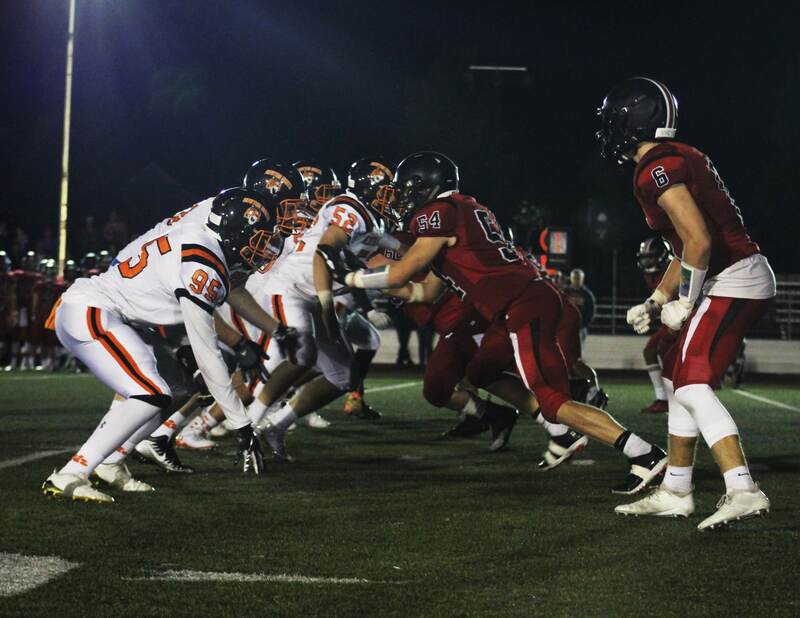 “Wellesley had early success because we didn’t come out playing hard enough and doing what we did all week,” said senior Nick Busa, a captain with seniors Kyle Ray-Canada, Christian Hahm, John Nicolazzo, and Joey Torcasio. Wellesley started the game strong by scoring two touchdowns in the first quarter to take a 13-0 lead. They then tacked on seven more points in the second and third quarters as a result of their explosive running game. Wellesley sophomore Shiloh White rushed for 270 yards and scored two touchdowns, with a long rush of 54 yards. “He was very fast and we didn’t do a good enough job of containing him,” said Busa. According to Busa, the Tigers struggled on offense for most of the game. “We struggled to get it going, and when we would, we couldn’t finish the drives and get the points,” he said. North scored one touchdown in the third quarter that boosted the crowd’s morale. Junior Andrew Landry threw the ball over the middle of the field to Ray-Canada who ran up the right sideline to score a 60-yard touchdown. Both teams were held scoreless in the last quarter. North, 2-2, will face Framingham on the road next Friday night.